From the Wellcome Trust Sanger Institute, this resource contains an animation that takes a journey which zooms in from the surface of the body into a cell. It illustrates the relationship between the nucleus, chromosomes, genes and DNA. 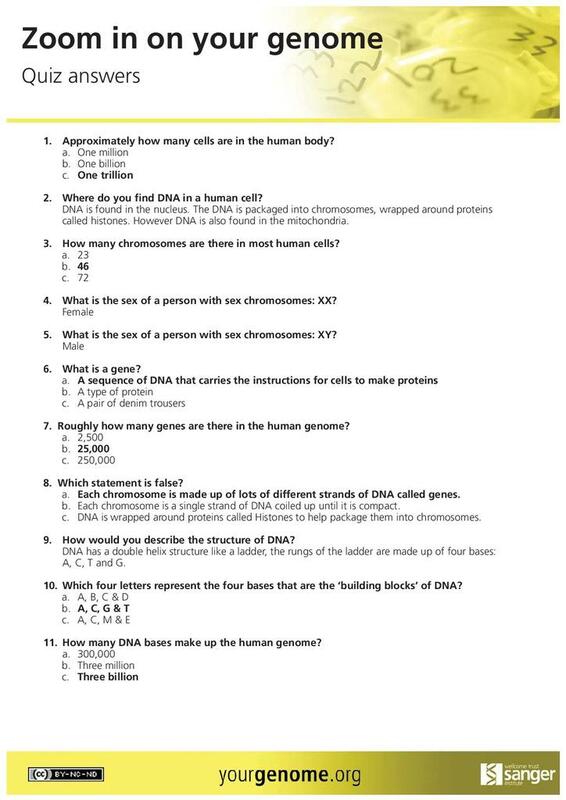 Each stage is at higher magnification to show where the genome is found and to provide brief explanations of the roles of chromosomes, genes and DNA. 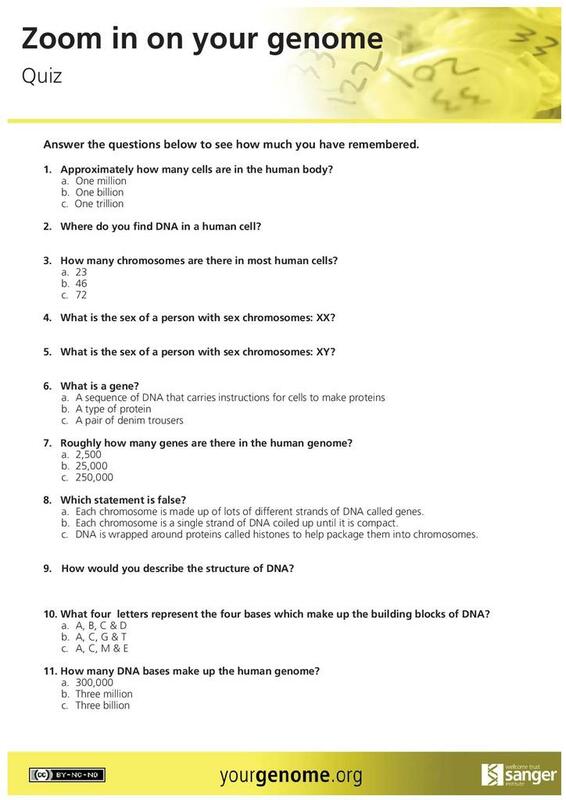 It can be used as a quick introduction to the topics of DNA, genes and genomes. The animation goes into quite a high degree of detail so can be used with students aged 14-16 or those following a post-16 biology course.